Begun in the late 1970s, Sherrie Levine's After series challenges notions of authorship and originality by directly reengaging and recontextualizing works of art and documentary photographs, asking us to reconsider the role of reproduction in visual culture. 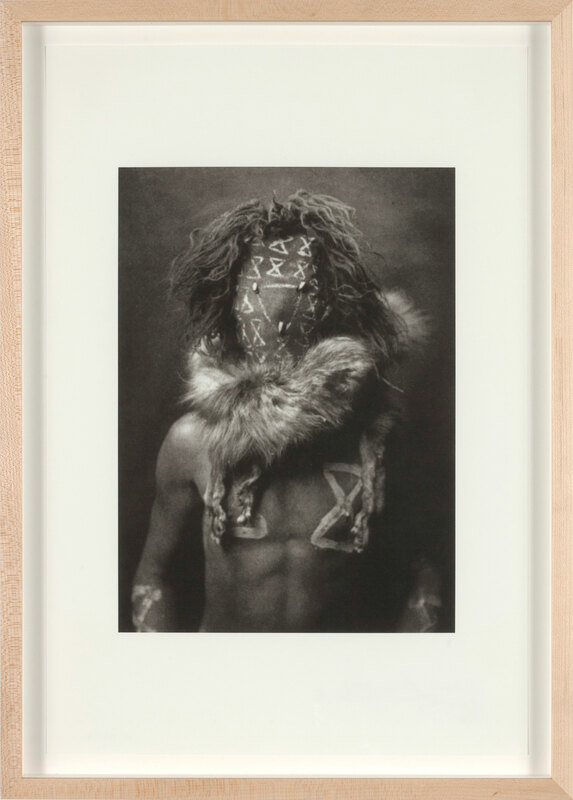 Commissioned to make a record of the rapidly changing and diminishing native population, Edward Curtis (1868–1952) spent more than two decades photographing eighty Native American tribes, amassing more than forty thousand photographs. Curtis's images were criticized for reinforcing stereotypes and doing little to allay the oppression of their subjects. After Edward Curtis: 1–5 suggests that we consider how we receive knowledge, what the agendas and biases of artists and documentarians may be, and whether we can trust photographs to tell the complete and true story of their subjects. "After Edward Curtis: 1–5." Take It or Leave It: Institution, Image, Ideology Digital Archive. Los Angeles: Hammer Museum, 2017. https://​hammer.ucla.edu/​take-it-or-leave-it/​art/​after-edward-curtis-1-5/​.